The Arrival weaves a mysterious and thrilling plot from 1948 Palestine to 2019 in White River Arkansas. 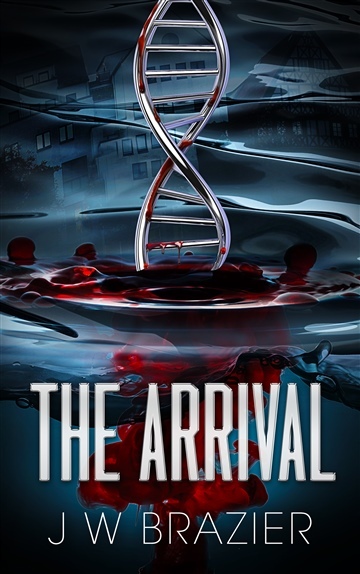 The remains of a two thousand year old Jew, DNA medical experiments, a covert military exercise, martial law, all collide in this small southern town in norther Arkansas. Combine demons, angels, UN military and terrorist attacks in Americas heartland, you have the blueprint for a rousing page turning story. The cast of characters are convincing, the mysterious is thought provoking, the conclusions are terrifing. J W Brazier--resides in the Ozark Mountains of northern Arkansas with his wife of twenty-eight years. They have four grown children. Following his naval service in the Vietnam War, he focused his college studies in California and Alabama on mass communications. A multitude of exciting life and work experiences-including acting, business ownerships, and licensed maritime engineer of sea and upon inland rivers-fuel and inspoire his writing. He is currently drafting other intriguing works. The Arrival is his first novel.